I didn’t really know much about Ai Weiwei‘s art until I walked into the exhibit at Tate’s. They had a conical pile of porcelain sunflower seeds in the center of a featureless room, cordoned off with a security guard watching over. The accompanying information said that the seeds were individually hand-painted by hundreds of Chinese artisans! At the time, the display evoked nothing. 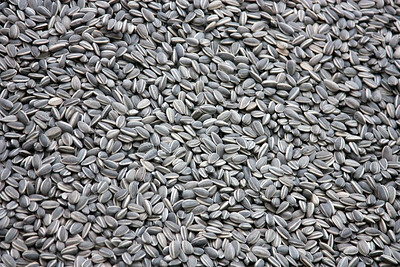 But the pile of seeds stayed in my head and made me curiouser and curiouser. 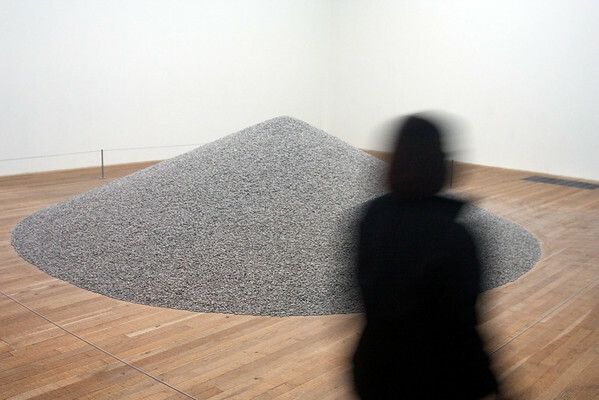 Ai Weiwei had wanted visitors to walk on the seeds or roll on them. But shortly after its opening, this interactive display was declared a health hazard due to porcelain dust. Personally, I don’t mind a whiff of porcelain dust. The artisans inhaled a lot in the making. And Ai Weiwei too. Apparently, Mao signified himself as the sun, and his many followers as the sunflower seeds. As a most obvious layer, this piece is a bold and yet modern interpretation of oppression of the masses. But I suspect that many layers will reveal themselves with time. I also suspect that it will be many years before I understand how Ai Weiwei defines himself. However, I did find an aspect of this artwork that perhaps any layperson can enjoy fully, this youtube video shows the artist amidst his many artisans. Via this documentary, meant to showcase the refinements of the production process, one begins to get a sense of how artisan communities worked together to create significant bodies of porcelain art in the old times.